Disc: Black label, dog on top.1 Large spacing between Nipper and catalog number. Catalog number and "New Orthophonic" below spindle hole. Disc: Black label, dog on top.3 Small spacing between Nipper and catalog number. 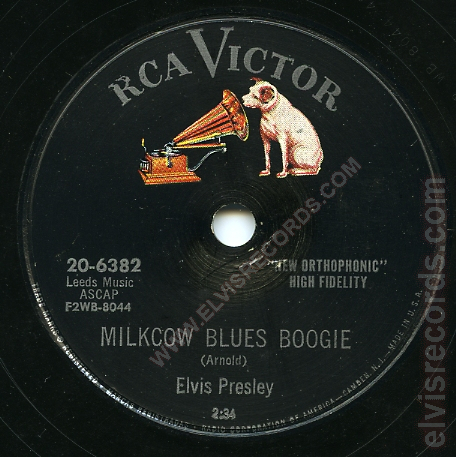 Catalog number and "New Orthophonic" midway at spindle hole. 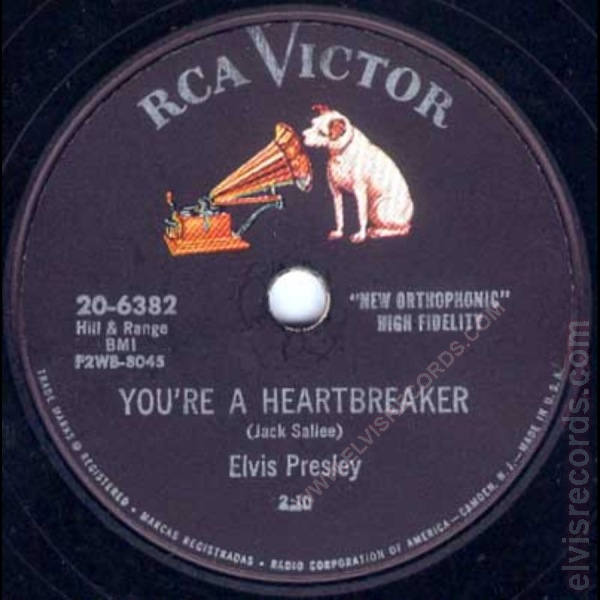 Released in 1956 by RCA Records on 45 RPM as Milkcow Blues Boogie / You're A Heartbreaker.